Hello!!! 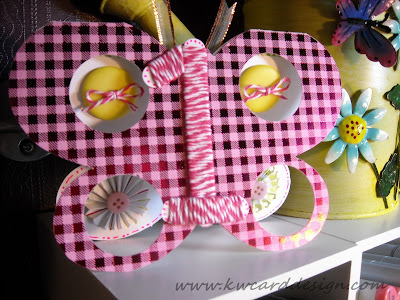 I have discovered a new challenge blog - and they love butterflies as much as I do - hench the blog's name - Flutterby Wednesday's. 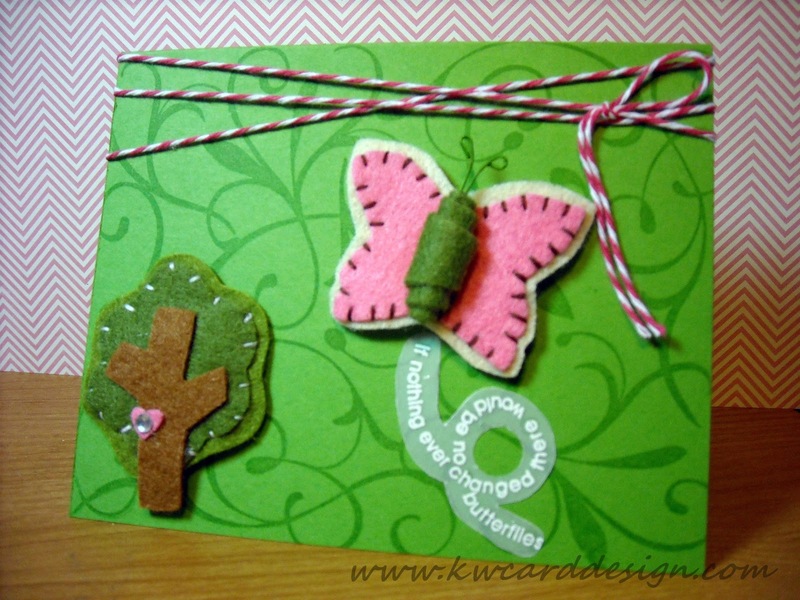 This week's challenge is an OPEN challenge - you can do whatever kind of card you like as like as an angel, butterfly, or fairy is featured on your card. Well, of course I am doing a butterfly. Here is the card I made!! 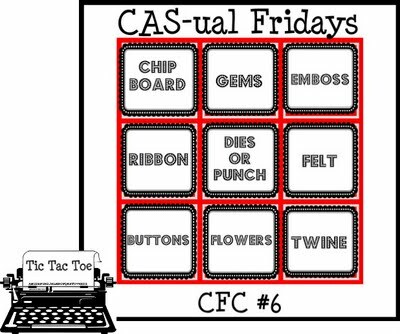 I started out by taking one of my favorite background stamps - the flourish stamp by Hero Arts, and inking that up with Memento Tuxedo Black ink - and stamped my base card. I took some purple patterned paper, and a piece of paper from the Naturals stack from DCWV, and cut out two butterflies from the Beautiful Butterflies die from SU!. I, then cut a piece of vellum cardstock, and put that at the bottom base of my card, to give the Flourish stamp a softer look, and added my butterflies. 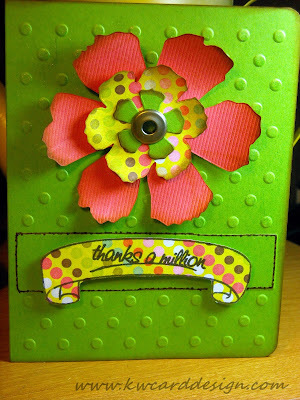 I, then added some purple corduroy ribbon and a flower dimensional sticker to the top of my card. 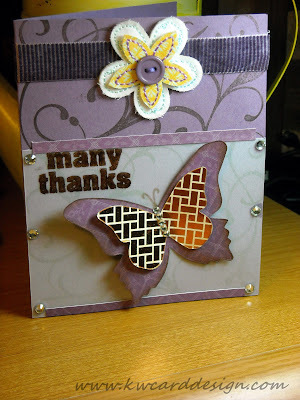 I finished off by adding some gems around the vellum cardstock and the butterfly, and my "Many Thanks" sentiment. Hi all! 'Tis me again. Can you believe the weekend is among us again!! YEA!!! I don't believe I have shared this card with all of you. I looked back at my previous posts and didn't see this one, and wanted to share it with all of you. 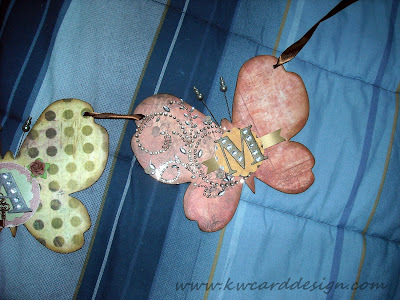 One of my favorite dies is the Tattered Florals Die by Tim Holtz. 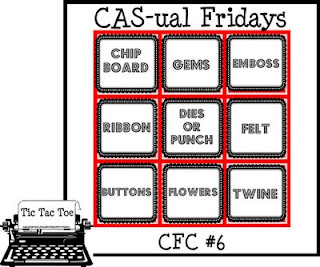 It is a wonderful die. 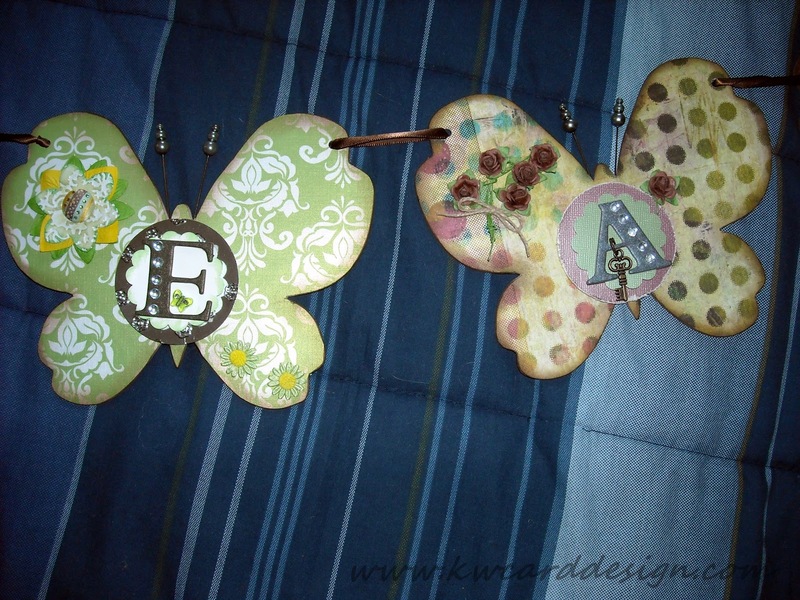 Anything Tim Holtz is awesome though, don't you agree?? Hello bloggers and craft lovers. 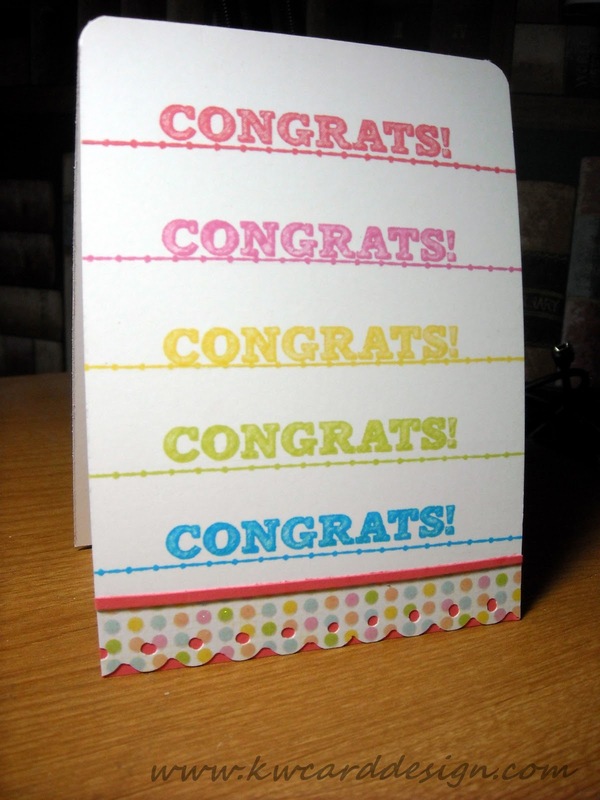 I am back to share with you a simple 'Congrats' card I made for a friend/co worker. I made this in the event of my dear friend Gena being promoted to a manager position "officially". 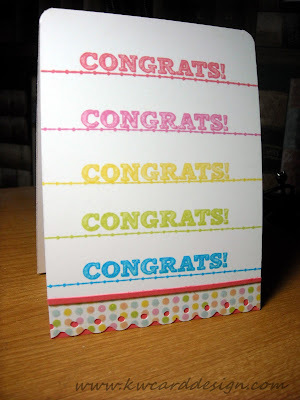 She had been filling in, but the sweet woman that had the job already was retiring, and Gena got to take her position officially, and I wanted to of course congratulate her. She deserves this opportunity! Believe it or not, it is hard to make clean and simple cards. We all want to "doll up" our cards, but sometimes the clean and simple ones are wonderful, too. On this card, I wanted it to be very colorful. There is nothing more eye catching than rows of color!! I changed the look of my blog slightly. How does everyone like it?? Anyone think I shouldn't have changed it?? Everyone once in a while, I want change, and that means in my blog too. I think I drive people at work crazy, because I am always changing and rearranging things around my desk or what have you. I digress!!!! Enjoy the rest of your day/evening!! 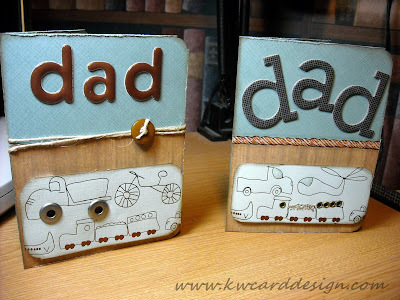 Happy Father's Day to all you fathers out there. Probably not a lot of male reader's, but hoped you all had a wonderful day anyway. I wanted to share with you the cards I made for my dad, and father in law. My husband and I took them out on Sat. afternoon to eat at Ruby Tuesday restaurant. I think they both enjoyed themselves. It was nice for all of us to be together. My mom couldn't make it, and we missed her, but understood. Now to my cards! I wanted to make them similar, but different. I hope I accomplished that. Hi all! Two cards in one day!! The creative juices must be flowing! 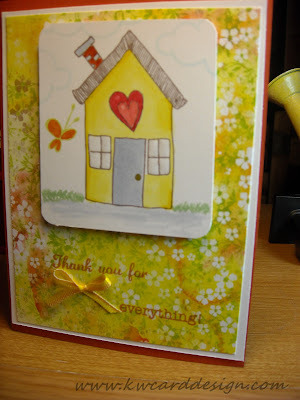 This time I am back to share my card I made for the Ribbon Challenge over at Lily Pad Cards. This is my first time entering into their monthly challenge, and I was up for the task. 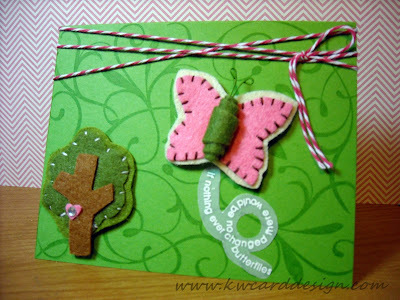 Simply - you have to make a card using ribbon. 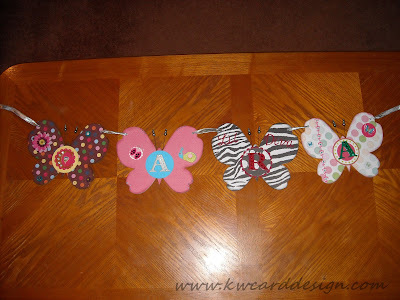 Instead of just wrapping ribbon around a card, and tying a pretty bow, I wanted to do something a little different. 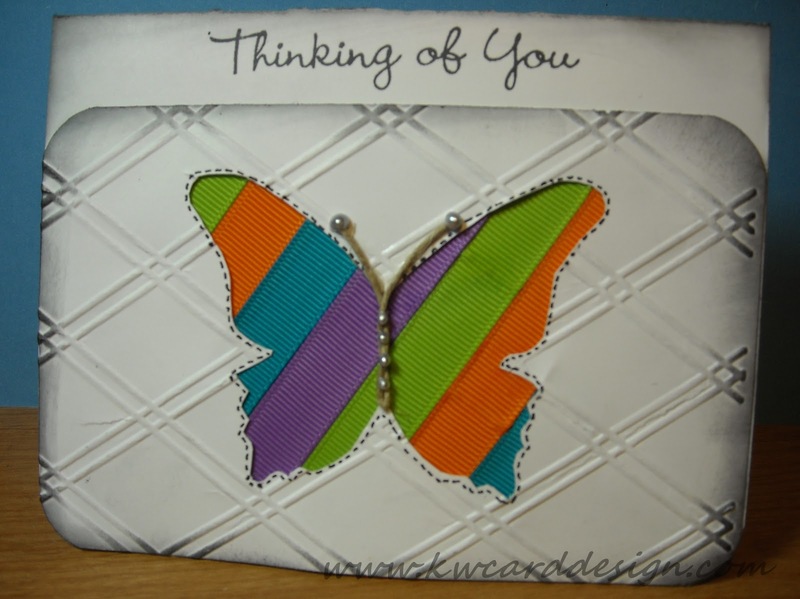 I traced my butterfly die cut onto a piece of white card stock, and then cut that out so I would have a frame of sorts. Then I had some very colorful self adhesive ribbon, and wanted to give my butterfly a rainbow effect. After getting my ribbon all down the way I wanted it ( which took longer then what you may think), I took my frame and embossed it with one of my cuttlebug folders. I then took some black soot Distress Ink, and gave my frame a "frame" and brought out some of the embossing. 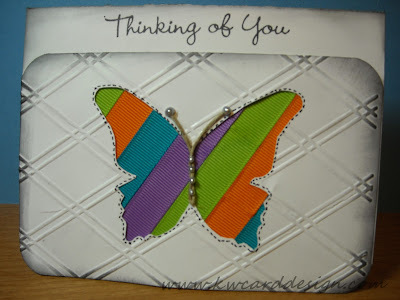 I took a piece of twine and twisted it to give the butterfly more of a dimensional body, added some liquid pearls and stamped my "Thinking of you" sentiment. I wanted my butterfly to be my focal point without using too much color to the rest of the card. I'm liking these challenges. They are fun, and really caused my brain to stretch its creativity. Wish me luck!! Happy Saturday to you all!! Well I did it - In one day no less! 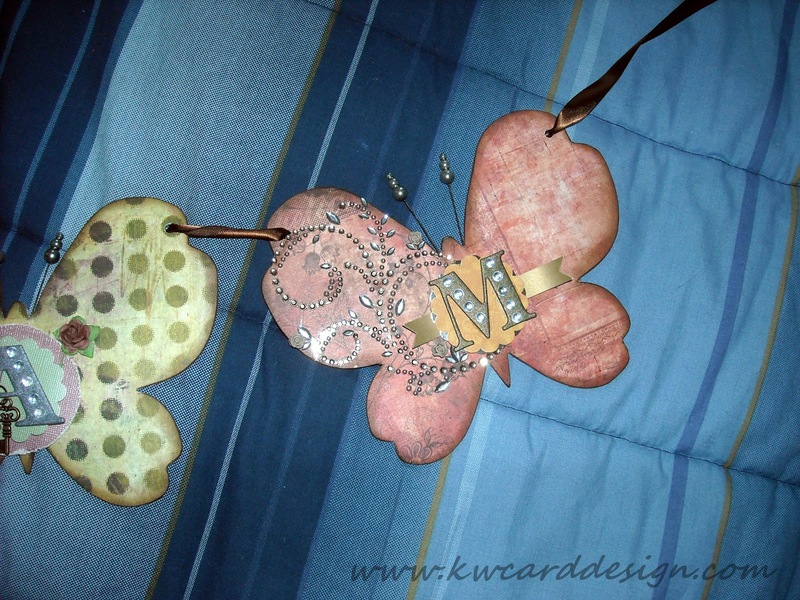 When I saw in the new Creative Spaces Magazine, in the back of the magazine, there is a beautiful butterfly banner that was made by Jing - Jing Nickel - and she turned a plain butterfly chipboard album into a beautiful banner!! I was immediately inspired to do my own! My heart was happy because first it was a BUTTERFLY banner, and two - it gave me something new to try! So - I found the album, and the pins that are the "antenna" both by Maya Road, and waited patiently till they were in my mailbox. 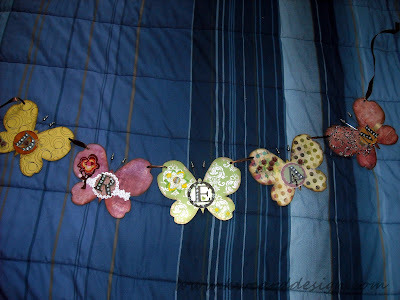 Then, this morning I was off to joy - filled creating my banner! Our versions are totally different - but both our own. So - here is mine! And if you have this awesome magazine - I hope you check out Jing Jing 's version! Maybe it will inspire you as well. I can't tell you how proud of this I am! 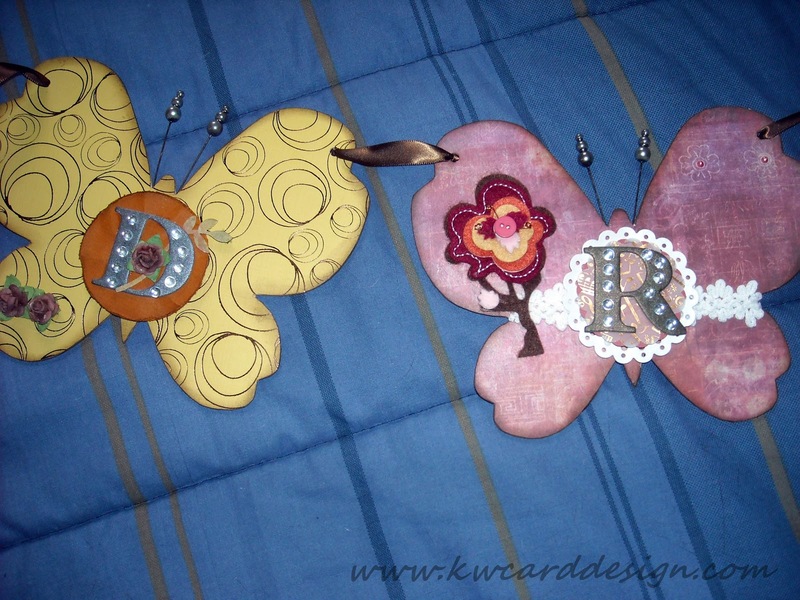 I am going to have my husband help me put it up in my craft room - and everyone time I walk into I, it will be a sweet reminder to continue to "DREAM" - and I hope one day to be crafting full time in one way or another!! Thanks for stopping by!! Stay Inspired - and Dream!